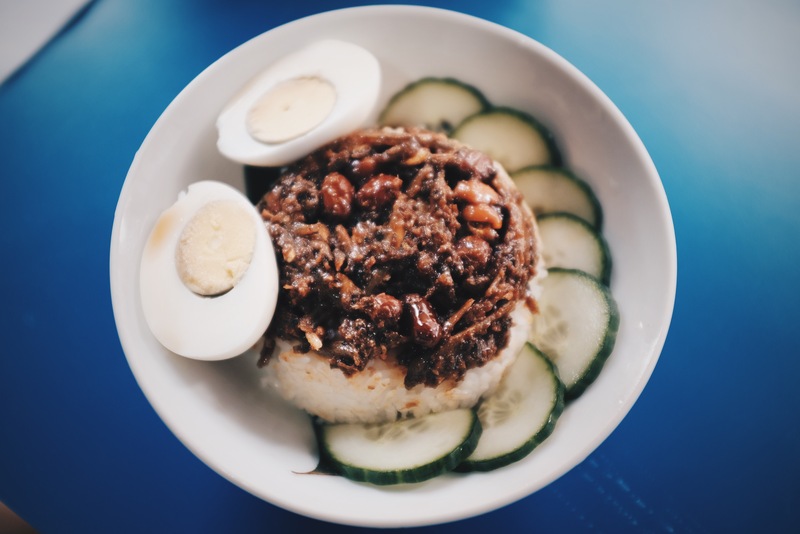 A bowl of nasi lemak for breakfast is not for the faint of heart. 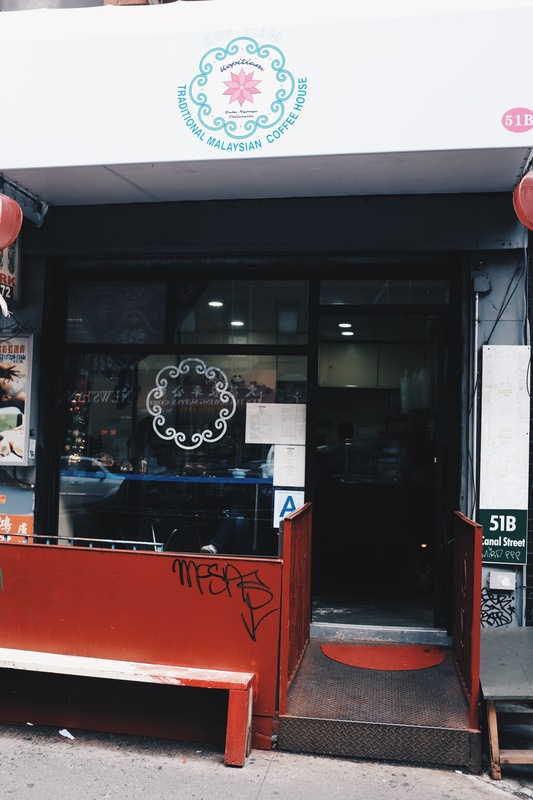 This traditional Malaysian rice bowl dish, which is one of the specialties at tiny LES Malaysian cafe Kopitiam, is shameless in its pungent, stinky fishiness. The anchovies are front and center, eyes peeking out of their tiny, dried bodies, swimming in a fragrant sea of other strong personalities like fish sauce, shrimp paste and garlic. Stinky, fishy, spicy, sweet, this is the type of Asian dish that makes white people with meek palates very, very afraid. That’s the type of approach that Kopitiam takes to its Malaysian cooking–bold and authentic flavors. There’s no toning down of this or that to appeal to a broad audience, which I appreciate. You definitely have to be in a certain mood to eat foods that are so intense early in the day, in the same way that you can only take in so many episodes of Game of Thrones, but when you do, you won’t forget it. 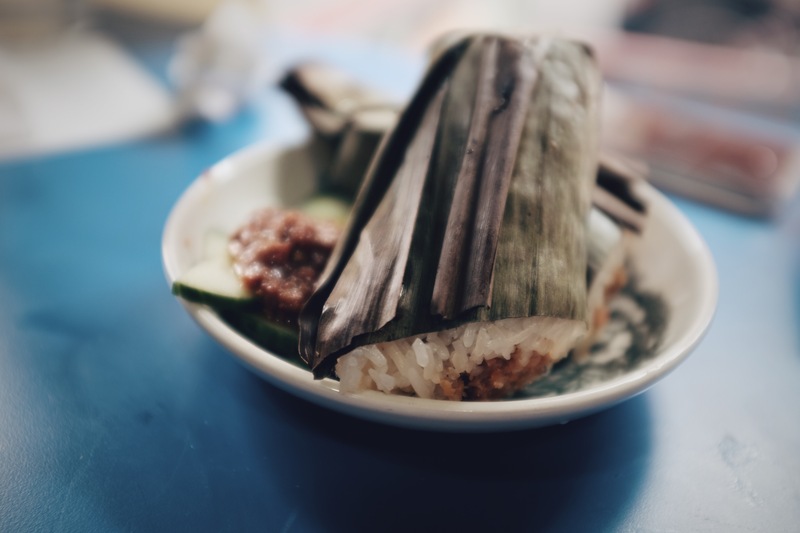 The pulut panggang, a sticky rice snack covered in banana leaf and filled with dried shrimp, was just as funky and feisty as the nasi lemak that came before it. 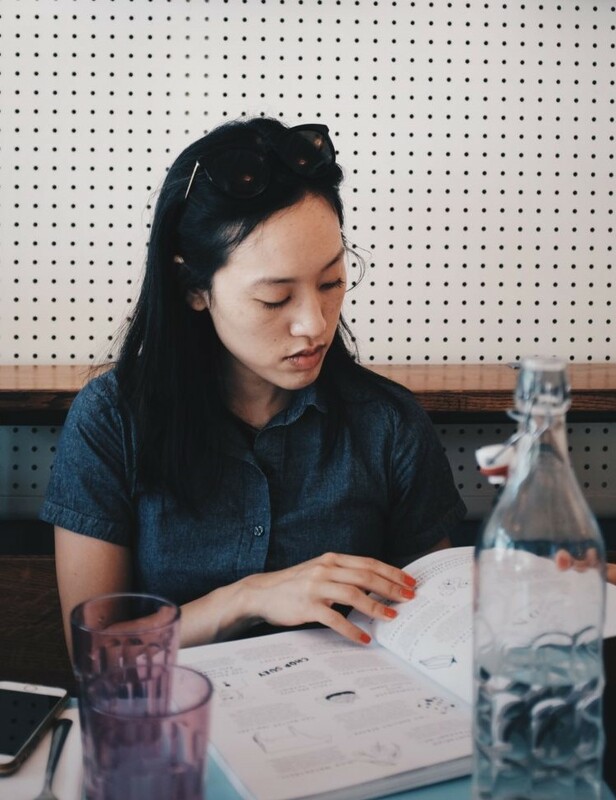 As a Korean, I’ve had my fair share of eating dried squid or cuttlefish, and the highly concentrated and briney flavors in just about everything I ate felt very familiar. 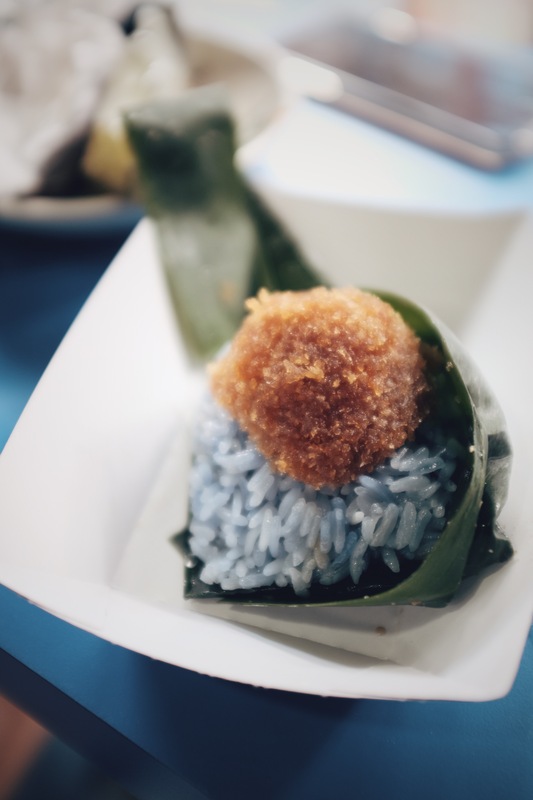 We also had the pulut inti, a blue morning glory sticky rice with grated coconut that reminded me a lot of Thai coconut sticky rice. As a sweet treat, it served as a nice palate cleanser for all the salty marinades that came before it. I’d say that the sweeter options like the malaysian toast and pandan and coconut cake are good entry points for those who want to tread the Malaysian waters a bit more lightly. But I’d recommend plunging right in. Almost everyone in the small 4 person restaurant as well as the steady flow of take out customers were going for it, and we were all staying afloat just fine.